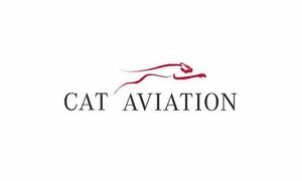 Cat Aviation operates and maintains business jets. And successfully too. With a lot of commitment and customer-oriented services, the owner-managed company has been flying at the forefront of executive aviation for over 25 years. Our fleet consists of state-of-the-art business jets - both for short routes as well as intercontinental flights. In addition, to the highest level of safety and absolute comfort, you can enjoy the services of an experienced and exceptionally well trained crew on all flights. Welcome on board!